The hats looked so amazing I just had to. I couldn’t resist. 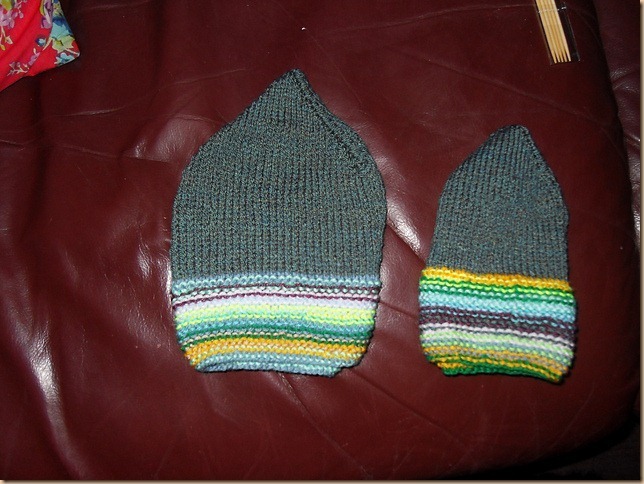 This picture just shows the difference in size between the two attempts and I honestly followed the pattern exactly for the larger hat! I admit it. 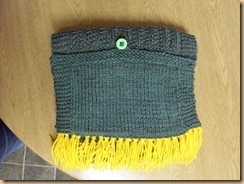 I am a loose knitter! So on to the scarf for the little man. Now it is here that I must ask you a favour. 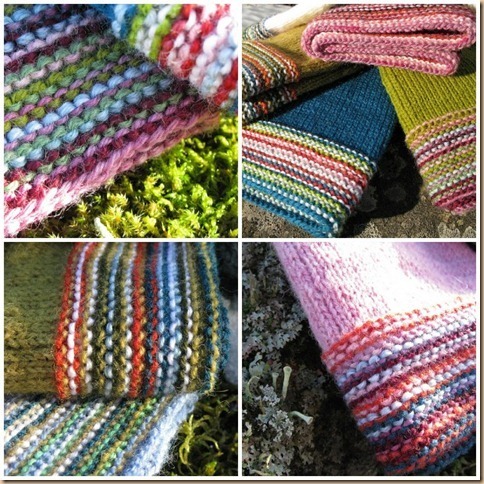 If I ever mention the fact that I am going to do a ribbed scarf again, please stop me! 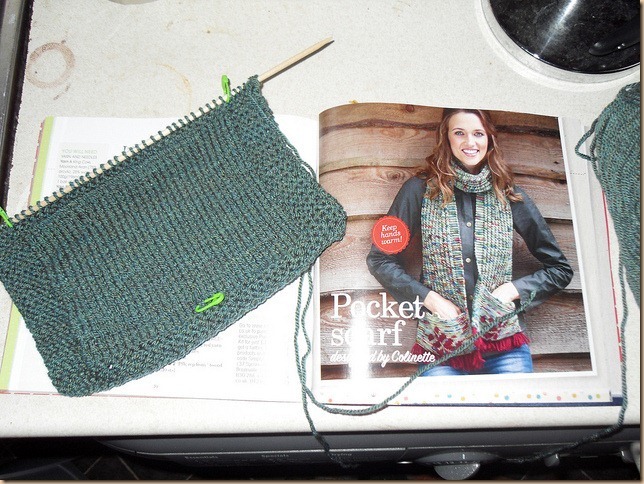 The pattern I found came out of a supplement with a knitting magazine. I thought the scarf looked great and the fact it had pockets was nifty and useful AND it would be easy to adapt to suit a 9 year old boy. 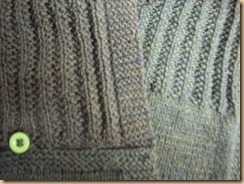 BUT I forgot how annoying, dull and boring ribbing could be! 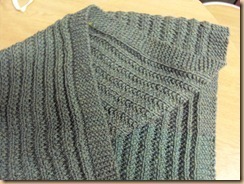 The pattern was basically an embossed moss stitch rib… I did 60 inches of it!! 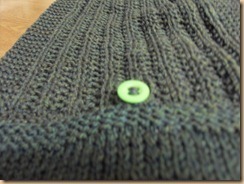 boy was it tedious… and entire ball of Hayfield Bonus DK (colour – Orchard – 904)– my go to value acrylic yarn of choice – that’s 280 metres of yarn for ribbing! ouch! But I got there and added the buttonholes using crochet chains and some yellow fringe to make it more cheery and then steam blocked it to stop the ribbing gathering so severely. I decided to leave off the motif from the pockets to make it more boy-ish. Want to see the finished article? Next – the pink princess…. 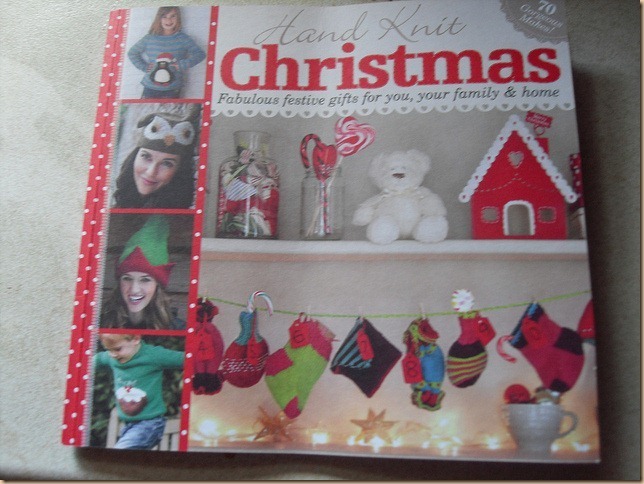 Previous Post Crafty Catch-up – Christmas is coming! !